Firming eye gel with micro-particles. Blue eyes is a highly effective moisturizing eye-gel, filled with natural agar-particles containing absolutely fresh macadamia-nut oil. The advantage of this kind of packinging of active substances is, that the precious ingredients are only released by the soft pressure applied during application on the skin. In this way the active ingredients are kept fresh, they remain inside the micro particles until released on the skin where they can provide their regenerating effects. 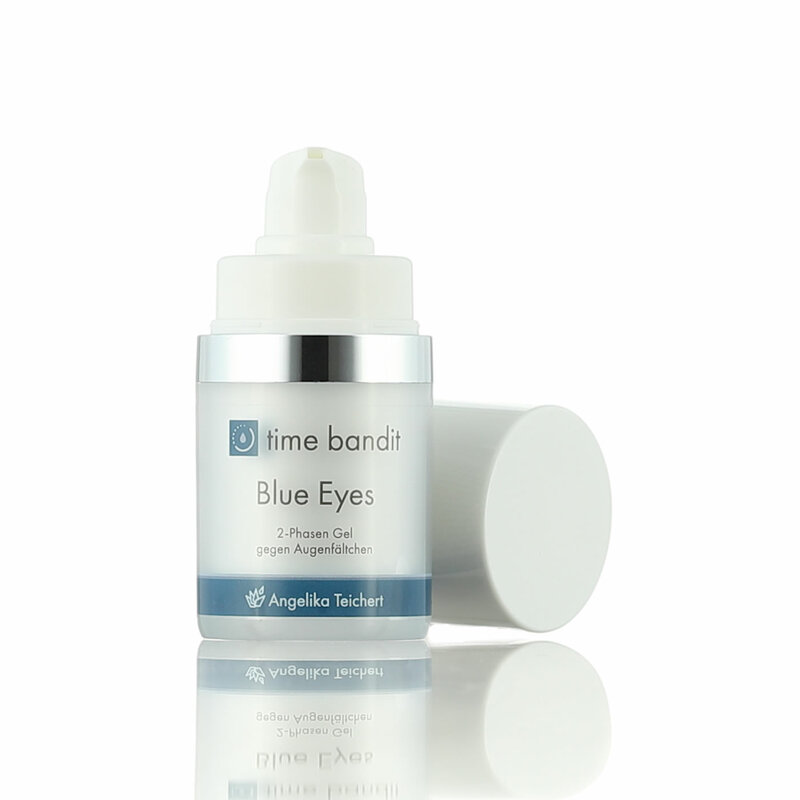 Blue Eyes contains in its gel an active moisturizing complex of aloe vera, hylaluron-acid, vitamin E and natural factors, which provide the connective tissue with moisture and keep it soft.